Like those previous films, “Midnight Special” takes place in the American South. 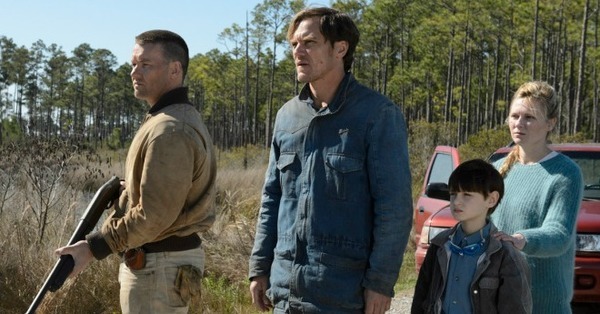 The film opens and we see Roy (Michael Shannon, Nichols’ muse) and Lucas (Joel Edgerton) on the run in Texas with a young boy, Alton Meyer (Jaeden Lieberher), who we learn is Roy’s biological son. Alton is gifted, and his “powers” were the basis of a religious cult led by Calvin Meyer (Sam Shepard), Alton’s adopted father. Although they are desperate to track down the boy, they aren’t alone — the federal government is looking for Alton because his powers have revealed top secret government information. 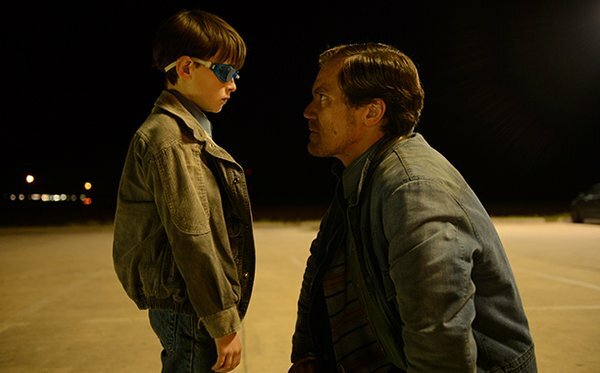 Any summary of “Midnight Special” — including that one — is tough to put together. The story is shot out of a cannon and the audience has to piece together much of the context as it moves along, and wait patiently for Nichols to drop precious nuggets of clarity. Of course, only in the end do we have any semblance of a picture of the truth, and even then the image is far from crystal clear. For those familiar with Nichols’ work, “Midnight Special” is most like “Take Shelter” with its intentionally vague and quietly suspenseful demeanor, punctuated by short but big dramatic moments. The plot relies heavily on audience curiosity as to what’s going on with Alton and just how big in scope the whole thing could get. If you’re new to Nichols, be patient and prepare for a payoff that’s as intellectual as it is emotional. In fact, in “Midnight Special” the scales tip in favor of the intellectual. Like the plot, the performances are generally understated with a few moments that showcase the actors. Shannon can blow the roof off a scene, but Roy might the least chewy of any part he’s played. Here he’s a passionate father ready and willing to cross all moral lines for his son, but he never comes unhinged. Kirsten Dunst, who sneaks into the film well into the runtime as Alton’s mother, has a similar part. These are the kinds of quality performances you’re less likely to see honored come award season, but once you’ve seen the film and recognize its qualities, it becomes clear just how pivotal the acting is to its success. Honorable mention to Adam Driver as an NSA agent who undergoes his own transformation in the film. To what will likely be the chagrin of at least a chunk of people who see “Midnight Special,” the sci-fi components are not among the best parts of the film. They don’t hurt it by any means, but their purpose is to heighten the stakes of what really matters to Nichols — the family drama and the themes and ideas around belief. So in and of themselves, the effects work and supernatural pieces are just okay, it’s how they serve the story that matters. In this way, comparisons of the film to “Close Encounters of the Third Kind” are most valid. “Midnight Special” could definitely be a little more gripping. It would also be a stronger film if it resonated with the audience throughout its duration rather than sort of dawn on you following the credits and a period of reflection. But that’s how Nichols works. He brings such a high level of emotional intelligence to his projects, but he makes you work. You have to trust your instincts and impressions of the film to find the meaning it offers. Luckily, he always makes that experience worth it.